“Sublime mountaintop views, a refreshing island breeze and sumptuous gardens and landscaping make Strawberry Hill an unprecedented resort for those seeking comfort, relaxation and a rejuvenating alternative to the traditional getaway. Developed as early as 1890 as a coffee farm, the grounds at Strawberry Hill reflect the historical timeline and environmental attentiveness of the property. The main canopy, which lines the original driveway, is composed of juniper (Juniperus barbadea) with specimens of cedar (Cedrela odoratissma), eucalyptus (Eucalyptus nicolae) and mango (Mangifera indica). Over the years, many species have been grown on the property, including flowers ranging from roses to giant philodendrons. As of present, three hundred and fifty endemic and exotic species have been catalogued. Finca Rosa Blanca has 30 acres of hard bean coffee which is certified organic by the BCS OKO Garantie, an international organic agriculture certification and is certified sustainable by Rain Forest Alliance and ICAFE, the Costa Rican National Organization for Coffee. 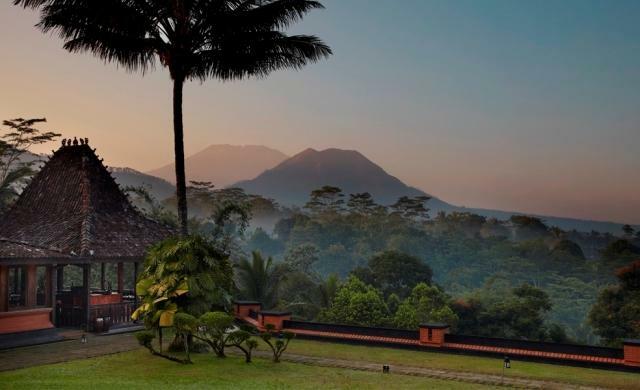 The eco-resort planted over 5,000 native trees on the coffee plantations with the help of the environmental protection agency (MINAET) and local school children. These native trees produce shade and nitrogen for their organic coffee and have created biological corridors for the birds and animals of the area. The coffee is planted following the natural topography of the farm to avoid erosion and water waste and is protected by living fences planted with native shrubs and trees. Guests are encouraged to join a tour of the plantation where they will learn how organic coffee is grown, harvested, dried and processed. In addition to roasting and packing their own coffee, guests participate in a “cataciÃ³n“ or a coffee tasting, learning how the professionals determine quality and taste. 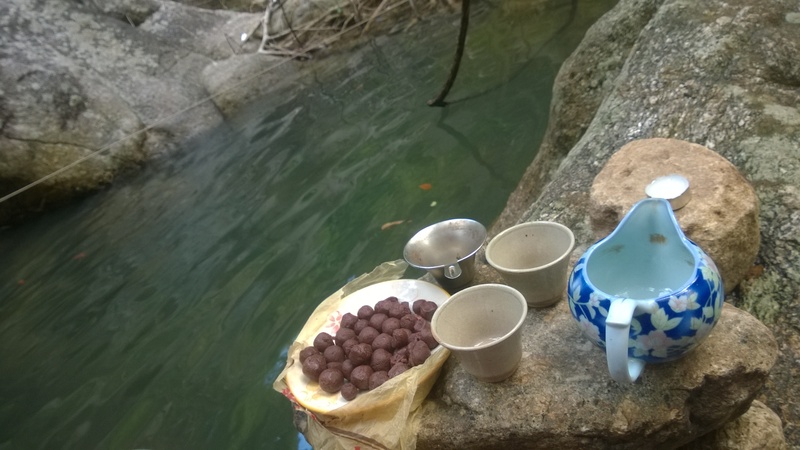 Beyond the eco-resort’s 3-acre organic farm lies a bio-diversity hotspot. Throughout the centuries, Meso-America has been at the epicenter of the tropical food belt. Today, Belcampo continues to honor the landscape’s exotic ecology and heritage by growing papaya, cassava, avocados, plantains and bananas and cultivating the four main tropical ingredients: cacao; coffee; vanilla; and sugar cane on the farm. Thirty acres is devoted to coffee cultivation; the owners have selected different varietals native to the Americas as a way of honoring the indigenous Belizean topography. For more than 27 years, Gibb’s Farm has practiced sustainable, environmentally-respectful farming methods. Everything on the farm””30 acres of coffee, 10 acres of vegetables and fruit, 5 acres of flowers and herbs and a working dairy and pig farm””is grown or raised organically with no harmful pesticides and only natural fertilizer and compost. The rich Arabica coffee is organically cultivated and the beans are cleaned and roasted right on the estate. “My great-grandfather, Manuel Matheu Sinibaldi, was one of the first farmers who turned his land to coffee to overcome the Guatemalan economic crisis of 1870. What he lacked in experience, he made up for with initiative and a tireless spirit. It wasn’t long before he harvested his first coffee berries and set up a horse-powered mill to process both his own crop and the coffee from neighboring Antigua estates. In 1874, just four years after the start of his new venture, my great-grandfather received a commission to grow one million coffee plants and distribute them to smaller farmers in the area. This was part of a Guatemalan President Justo Rufino Barrios’ plan to encourage the production of coffee in the Antigua region. And so began a long family coffee tradition in Antigua Guatemala. Filadelfia Estate was developed by my grandfather, Manuel Matheu Ariza, and later on by my mother Elisa Matheu CofiÃ±o de Dalton. Our plantations have endured revolutions, devastating earthquakes and a series of severe frosts that destroyed Antigua’s entire coffee crop twice, in 1881 and 1885. But they have also benefited from the rich soil fed by the ashes of the very volcanoes that cause the earth to shake under our feet every so often; from the temperate climate that allows our coffee to mature slowly and from our own valley starting at 5150 feet up to the rugged heights, over 6,500 feet, that give our coffee its distinctive flavor and aroma. Not least, the plantations bask under the bright blue skies and in the colonial beauty of a city that inspires its people to celebrate the baroque art of their buildings in their everyday activity ““ be it ringing the church bells, or picking coffee berries in the shady groves, strolling to work in the mornings under the purple outline of our volcanoes, or processing coffee beans in traditional mills. 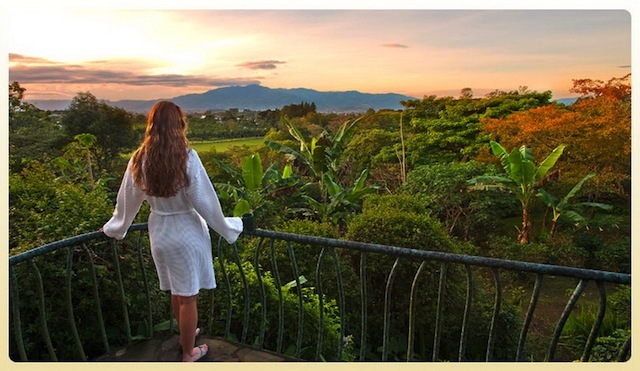 Munduk Moding Coffee Plantation Nature Resort and Spa is a luxury nature resort, spa and boutique hotel in North Bali on a working coffee plantation located close by Bali’s central lakes and Munduk hill station. The hillsides are covered with jungle, coffee trees, rice fields, and pretty much anything that grows on the island. Munduk Moding Plantation works with local coffee farmers to pool resources, upgrade the quality through organic farming and sell to wholesalers directly. The hope is that this will lead to better revenues for local farmers and will protect the soil and water-tables in the area (organic coffee plantations use much less water than growing oranges and cash flowers while it requires shadow trees which, in turn, attracts a large variety of birds and stimulates the growth of many indigenous plants and flowers). 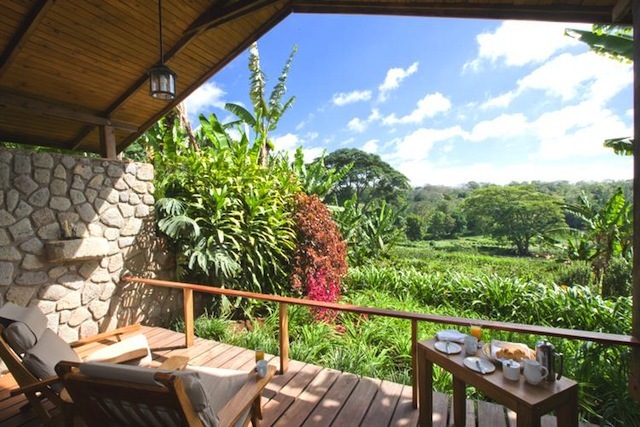 Since the resort has switched to organic farming the staff has seen a remarkable increase in the variety of bird life such as swallows, singing bush larks, kingfisher, red jungle fowl, pink necked pigeons, plaintive cuckoos and spider hunters. I’ve been to Finca Filadelfia and loved every minute (particularly the coffee tasting). Now I gotta get busy and visit the rest on this list. Thanks for the comment Jeff! We’d love to hear about your experience at Finca Filadelfia. 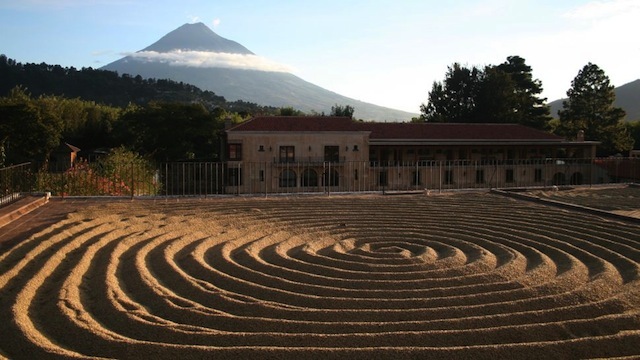 Guatemala is well known throughout Central America and in fact, the world for it’s wonderfully flavored coffee. Yum coffee tasting! What a great view of that first place. 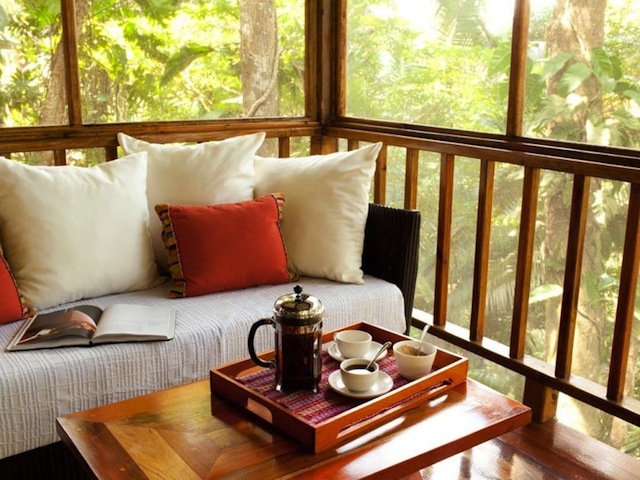 I would love to wake up in one of these places and have a fresh cup of coffee. These are some stunning views. 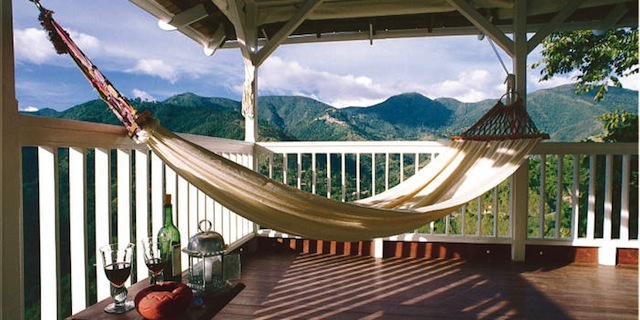 I would enjoy a cup of coffee overlooking these mountains. These views rival any 5-star resorts. I would pay big money to stay here. I am jealous of tobacco farmers. I’ve never heard of hotels on coffee farms! But these locations are beautiful. These are tourist destinations in and of themselves. I love it when the hotel you’re staying at is as big of a reason to go to a place as the site itself. Thanks for sharing, I’m definitely putting these on my list! So beautiful stunning hotels. All are at so good locations looks like a dream world. I was totally unaware about hotels at coffee farm. Thanks for suggesting so great destinations to visit. wow just wow these places have some seriously stunning views! I definitely wouldn’t mind taking a vacation to one of these spots. 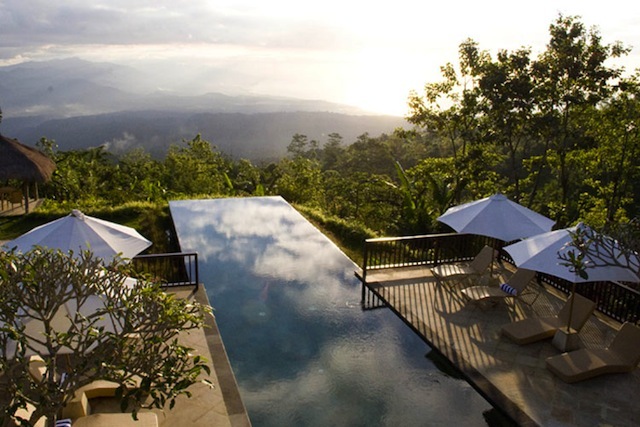 OMG so beautiful hotels. Excellent view.. excellent post. Amazing hotels . Excellent post.